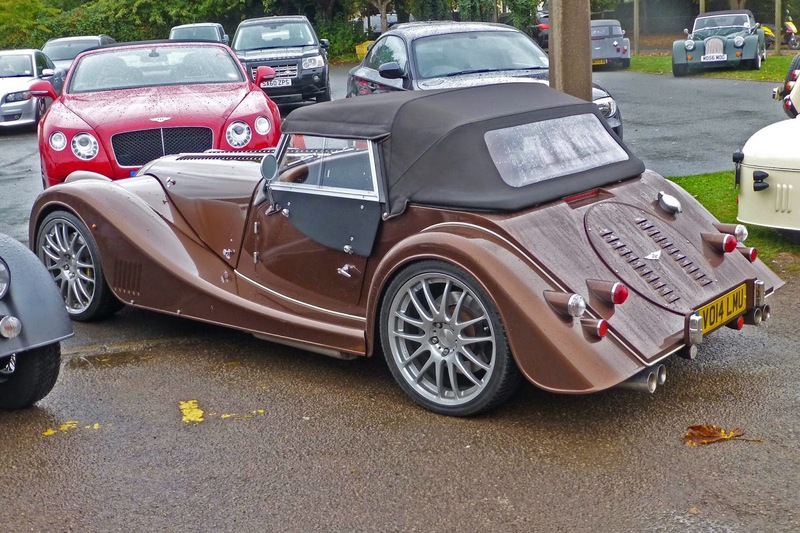 In March 2014 I drove the Morgan Plus 8 press car and wrote a review of it. 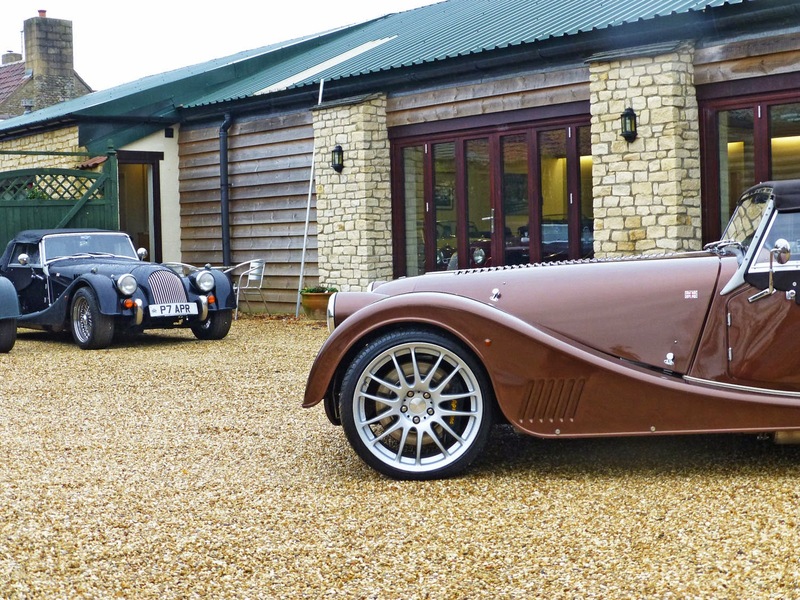 Morgan Motors went on to sell the car to a chap called Peter Jenks who has charmingly called it Tarka, "Because it's brown and 'otter than the Roadster." 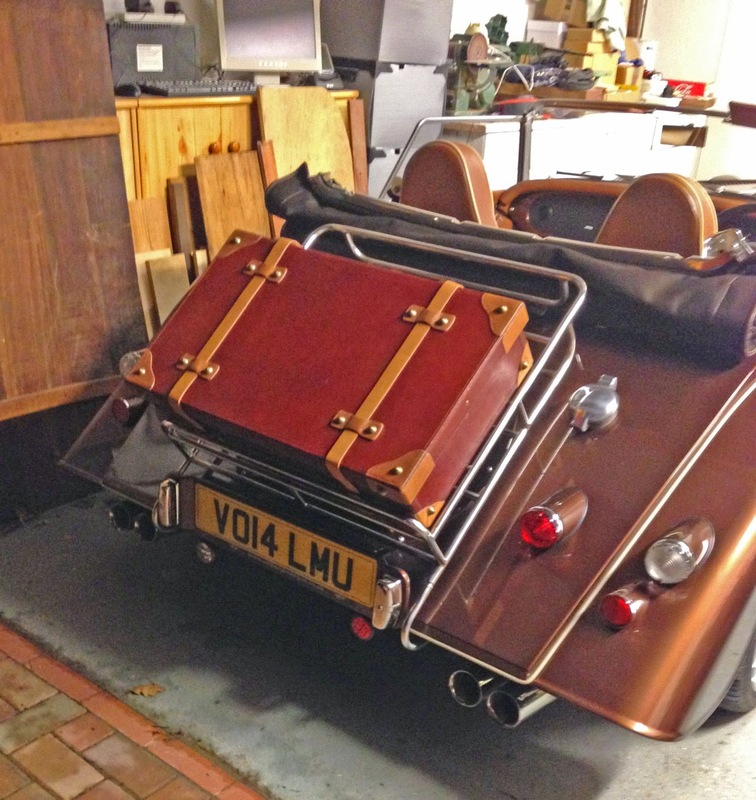 Peter has kindly sent us his thoughts on Tarka, and compares it to his 2009 Roadster, Aldermog. They looks superficially similar, but how different are they? 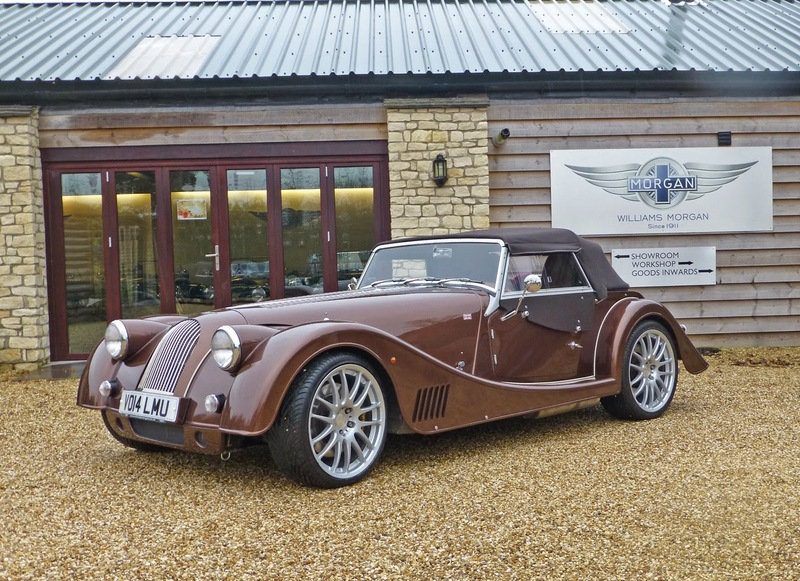 I’ve now driven Tarka the 2014 Plus 8 around the roads I know, so I can start to make a comparison whilst Aldermog, our 2009 Roadster, is still fresh in my mind. Let’s start with “Fit and Finish”. In many ways Tarka is very much improved: under the dash and into the footwells the soft leather extends as it does in my wife’s Mercedes, a vast improvement. It is actually quite difficult to see or feel any lose wires. 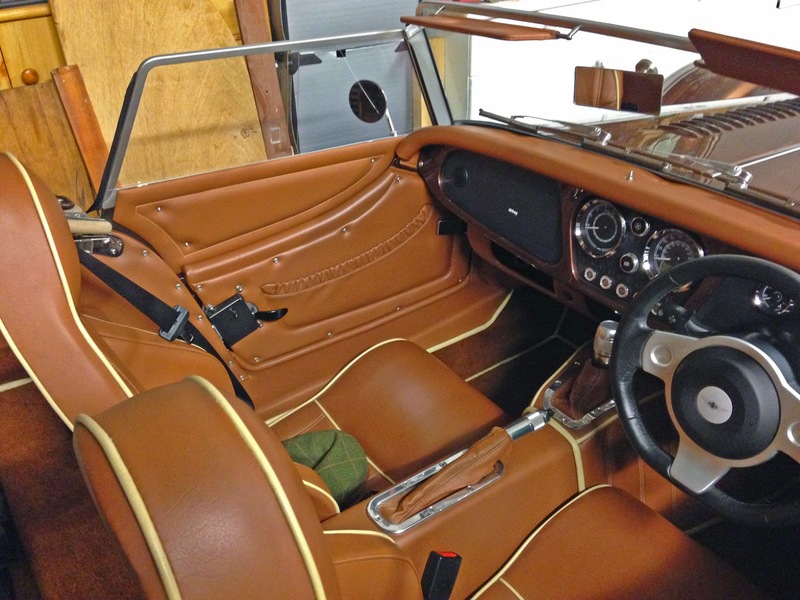 But there are still some hangovers from the Roadster, for example the hex head screws holding the door hinges are still mild steel and have rusted: why, oh why, can’t they use stainless steel? The hinges are stainless anyway. Moving on to comfort: this is where the difference shows. The car rides like a modern car, the suspension is controlled and the car passes over small road damage almost imperceptibly and deals with sleeping policemen without a concern. The ride is actually more controlled than that of our Mercedes E 350 Coupe. Inside the high back sports seats with seat heaters are as good as any high end seat, but for the broad of hip they might be a bit too snug! The extra 10cm cockpit width makes a big difference on a long run. I got the dealer, Williams Automobiles, to trim the inside of the side screens, this has finished off the cockpit perfectly and it is draft free. The hood has a separate lining and driving 'hood up' it is warm and dry, indeed the heater is powerful and infinitely controllable with modern electrically driven controls. The radio is mounted in sight of the driver, a novel improvement and the car comes with a full 6 speaker installation. I’ve fitted my Alpine CDE 136 BT and it works perfectly: it is a DAB unit and as in the Roadster the DAB reception with a simple powered splitter works very well. The sound quality is as good as any other basic sound system in a modern car. Overall the car is very significantly quieter than Aldermog, at least until the loud pedal is exercised, when it produces a wonderful rasp from the exhaust, drops a gear or two and rockets forward. There a few in-cockpit negatives, two that are easy to sort are the lack of a transmission tunnel locker and the ever useless door straps. I’ve fitted Librands door checks: this also replaces the rusting set screws and I’m working with Austin at Williams to develop a locker to go over the transmission tunnel between the seats. It will also act as an elbow rest! The more difficult challenge is the insane open ended glove box under the dash. Quite how this has been allowed to exist is beyond me: all it needs is a small 10cm x 10cm square of aluminium attached to the base of the glove box. Easy in construction but very difficult now. Finally, to the important bit: how does it drive? I’ve only lightly explored the envelope, due to a combination of darkness, wet roads and lack of time. But Tarka certainly has lots of power and the right foot needs to be very controlled on cold wet and greasy roads, I was driving into a supermarket car park and needed to apply a little throttle to get over some speed bumps: the back end stepped out sideways about a foot…the road was wet and perhaps there was diesel about, but the sort of care any biker will understand is needed. On the open road it is another matter: the car can be driven as a lazy tourer, letting the smooth auto box do everything or by putting the gear lever into “Sport” and using the steering wheel paddles it becomes a quick and responsive thing. The noise when accelerating hard is sinful, it sounds exactly how a big V8 should but so often doesn’t. My “friends” at the BMW dealership were most impressed, not just with the noise but the overall product. Tarka’s unusual colour was also considered to be really good, distinctive yet subtle. Manoeuvring in confined spaces is not as convenient as in Aldermog, other than the hydraulic power steering is a bit lighter: but not massively so. The big problem is the lock, or lack of it. The lock is worse than Aldermog, quite how that can be I’m not sure! Once on the road I like it, much faster response to input than Aldermog and some semblance of feedback, not much but more than the electric power assist on my BMW. I know there are those who feel for track use the steering is slow to respond to rapid steering inputs. Perhaps, but that isn’t going to worry me: I have little time for the “how fast is it round Nurburgring?” method of comparing cars. Driving at night showed the 7” headlamps up as weak. I’ve asked Williams to investigate fitting a pair of Wipac auxiliary main beam lights, they are certainly needed. Meanwhile I’ll fit the head lamp units with LED sidelights I had on Aldermog, they are better than the standard units.